Travel To India is a cherished dream of millions all over the world. With increased transportation facilities like air and train travel, India has become a travel destination of choice. 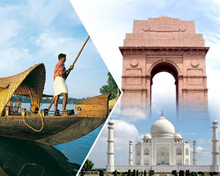 India's old world ways mixed with the new offers a facinating travel destination. Travel to India and discover the incredible choices India has to offer. One can visit India and stay the way they want - in luxury - in comfort or even as a backpack tourist. The choices are many and you may even choose to stay in places like Rishikesh and Bihar and learn yoga and lead a life of meditation and self discovery in various places. It is very exciting to travel in hilly tourist places and enjoy the beauty of nature that may be untouched with pollution. Hill stations are nice place to visit. But in hilly areas, sudden changes in weather can create problems for visitors. Also with increase in height, amount of oxygen in air decreases. There are some guidelines which are supportive in managing a good expedition to hilly areas. Prime factor is to plan staying arrangement. It is wise to go to a hill station with pre-booked accommodations. It is possible that on the same day many people may reach at that specific location and cause a problem in getting good accommodation. It is better to go for advance booking. Second factor is that travellers must go with all necessary medical tests if their age is more than 45 years or have some kind of serious disease. It is recommended to keep medical kit and take all medicines because the chances of non-availability of some of the medicines on hill station are high. Take some extra quantity of medicine because many times road to hill stations get blocked unexpectedly. As in hilly areas, weather is colder and temperature is down therefore tourists must keep the woollen cloths with them. Temperature may decrease suddenly anytime on the hill stations. Experts always advise tourists that they should avoid night travelling on the hilly routes. Due to lot of turns and fog it can become difficult to travel. In inventory, tourists must take umbrella with them because sudden rain is common on hill stations. Tourists must have proper attire or dresses for visiting tourist places so that there are no chance of any accidents. For foot wear, tourists when visiting to hilly areas must take sports shoes instead of leather shoe and sandals because they provide good grip on the ground. For those who have vomiting sensations, eat light food while travelling and keep lemon with them. Hilly areas are always attraction for tourists. It is advised to visitors that they should not leave their luggage unattended. Because many at times cases have happened that drugs have been planted in the bags smugglers and they were detained by Police or had to pay hefty sum of bribe. Tourists visiting to hilly areas must take precautions while talking to local people and do not to share travel related information with them. Though they are very friendly and warmly welcome to guests, but among them there are some peddlers and addicts. Tourism: Can this be a next big thing for India? “Vasudeva Kudumbagam” – “ The world is one family” proclaims an ancient saying in Sanskrit. Going to foreign shores in search of wealth or as traders is nothing new to Indians. But ever since the country became enslaved to foreign rulers, there is steady decline in the exploration of the world. After Independence, the quest to travel abroad for a variety of reasons like employment and trade has been revived as many Indians began to spread wings and establish an identity of their own in commerce and enterprise. With gradual progress in wealth generation and the country’s GDP gaining traction around the world, foreigners have rediscovered India – a civilisation that has many achievements to its credit in the fields of agriculture, science, administration and astronomy. The year 1991 saw for the first time Indian government opening up its economy and putting a gradual end to licence-permit raj system through a series of bold decisions. Doing business or opening a factory in India by foreigners is made easy and inviting the FDIs (foreign direct investments), foreign investors with open arms has lead to tremendous surge in GDP growth over the decades. As a result of economic boom, there is free flow of people between India and the rest of the world, and the incremental revenues from the tourism added to the country’s exchequer cushioning it from global shocks and volatility in stock markets. Given the scale of diversity and rich, colourful experience that India offers to foreign visitors, it can be said that the country will be in the elite group of few nations that attracts a continuous stream of visitors throughout the year. From the snowy peaks of Ladakh and Himachal to the backwaters of Kumarkoam in Kerala and the scenic confluence of seas at the tip of Kanyakumari, the foreigners are amazed by the sheer vibrancy of India which is awakening itself to realise its full potential. Moreover, an eclectic array of festivals, events and religious happenings pull tourists to have a firsthand glimpse of what modern India is all about. Realising the importance of tourism as one of the biggest revenue earners, the Centre and state governments have put in place all the necessary infrastructure to woo foreigners to spend their leisure time and holidaying in India. The tourist facilities have in turn given rise to employment of thousands of local people, thereby ushering in welcome changes in these regions too. Now each state hold road shows in foreign locations to expatiate on the many attractions it holds for tourists to visit and enjoy the thrills and frills of eco-friendly tourism. The concept of holidaying in India has taken a new equation with focus on a bouquet of choices related to heritage sites (Ajantha Ellora caves, Mamallapuram), geographic attractions like mountains and lakes, cultural hot spots (temples and pilgrim centres) and exotic locales (Taj Mahal, Udaipur Fort) – all of these have made India an obvious destination for global travellers. Apart from foreign visitors, domestic tourists have been contributing much to the financial kitty of the government. Youngsters and families head to locations within India they have heard of and wanted to visit due to the sheer beauty the nature has endowed itself with. Better connectivity by road, rail and air is another main reason for the sudden burst of tourist activities in the remote corners of the world. It is not surprising to see foreign airlines landing in non-metro cities carrying quite a number of businessmen and tourists who take time out to understand the local custom and lifestyle. Green activists alarmed by the amount of footfalls in some of the pristine spots of the country have called for regulating the tourist flow to prevent the accumulation of garbage and waste in these areas. However, this problem can be tackled if the civic agencies take steps to create awareness on the need to keep the environment clean and tidy. The spinoffs from the burgeoning tourism industry are enormous and India in this case can emulate China used this sector to improve the life of its citizens. A whole range of institutions like hotel management and catering have proliferated across the country in recent years to churn out skilled graduates to service the hospitality sector. 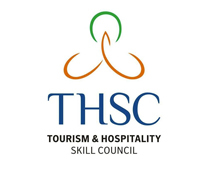 Highly talented youth take to many professions that hospitality sector offers as a career without a second thought as tourism over the decades jumped into the forefront of public discussion and media reporting. Also the job opportunities in the hospitality sector are expanding by the day given the preferences of foreigners and domestic tourists. While the metros and major cities have cashed in on the tourist flow, the government has further eased the travel procedure by relaxing visa norms and stay restrictions. But the rural boondocks are yet to get the full facelift from the booming business of tourism. Small clusters of villages having the potential to draw outsiders can be developed with boarding and lodging facilities for a brief stay of foreigners who can have a glimpse of pastoral life in India. When there are diminishing returns from agriculture-related activities, rural youth can be gainfully employed in the hospitality sector that directly contributes to windfall in tourism. The government can pitch in here by funding select areas in backward regions for developing them into tourist hubs that will be a haven for visitors all through the year. Over the decades, India’s profile has changed from that of a closed, conservative and to-be-developed economy to a progressive nation earning goodwill for its cultural diversity, transparent governance and having a pluralistic society. And giving a short in the arm, Prime Minister Narendra Modi with his outspokenness and effusive personality during his foreign visits has turned out to be a cultural ambassador of sorts for India. Time is ripe for the Central government to take all the major initiatives and invest in mega projects that will attract global tourists by hordes – for even a brief stay in India by them will ensure good foreign capital spent here which will be ploughed back into the economic system. State governments can work in tandem with the Centre and local municipalities to see to it that a hospitality project does not suffer due to want of funds or skilled workforce. There is no denying the fact that tourism has assumed a mullti-million dollar industry with growing stakeholders ready to expand their business to cash in on thousands of global travellers eager to visit India and slake their thirst to experience the ancient wisdom that this country personifies even now. All that the country needs is a sound tourism policy that unveils an eco-system which sustains itself through revenue generation and able to isolate itself from periodical shocks from global markets. Here are some resources to your travel to India. 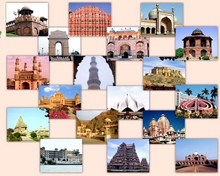 We will be further adding new travel tips and guides to India.